All my life i've dreamed of spending Christmas in Europe. And this past year, we did! It was just as magical as I thought it would be, filled with mulled-wine, Christmas markets, snow-capped peaks, Christmas concerts, and decorated trees and twinkly lights galore. If you are looking to visit Europe at Christmas (especially with a family), I hope you'll find our itinerary helpful. 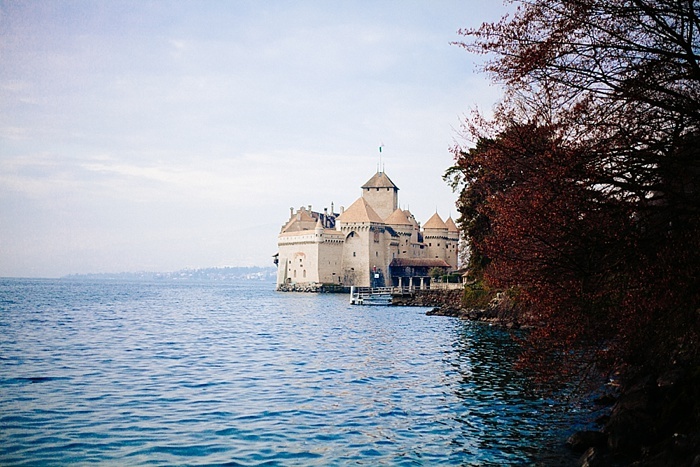 We spent the first 5 days/4 nights of our trip in the Lake Geneva area. We rented this chalet in the tiny hamlet of Plans-Sur-Bex, in the mountains above Montreux. We decided we wanted a home-base to explore the region, and this chalet, built in 1714 which easily accommodated our family of 8, was the perfect place! It had a roaring fire, 4 plush bedrooms, and a snowy little town right outside the window. Lake Geneva is absolutely gorgeous. Its pristine waters fall at the base of huge snow-capped mountains. It's a fabulous site to see! monument. You can see my pics and read more here. Francis Shaeffer. We were able to visit on this trip! 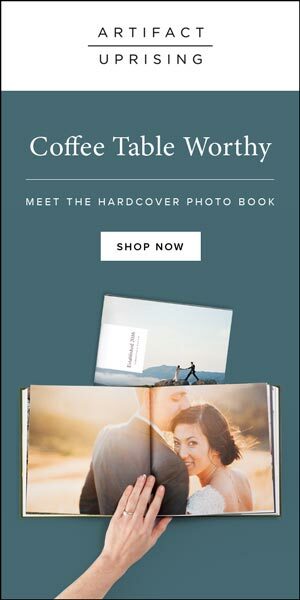 You can our pics here. This was a fun day, but if I had to cut a day out, it would probably be this one. If you're an olympic die hard like me, you'll love the museum! This was one of my absolute favorite days on the whole trip. 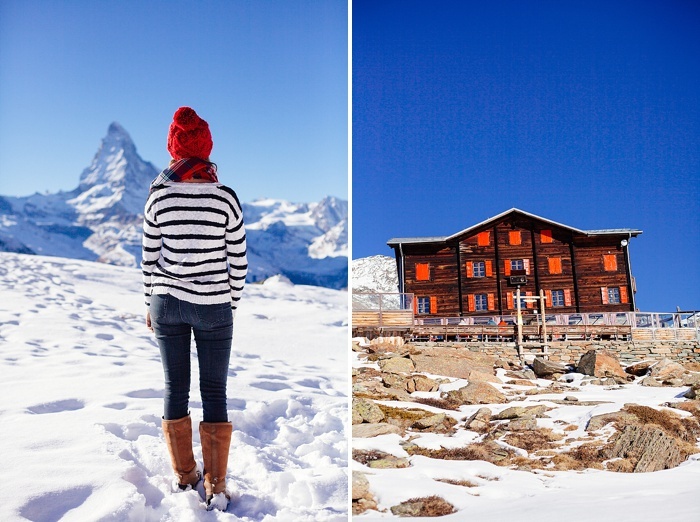 Nothing says Winter like the snow-capped Alps, and especially the famous Matterhorn! 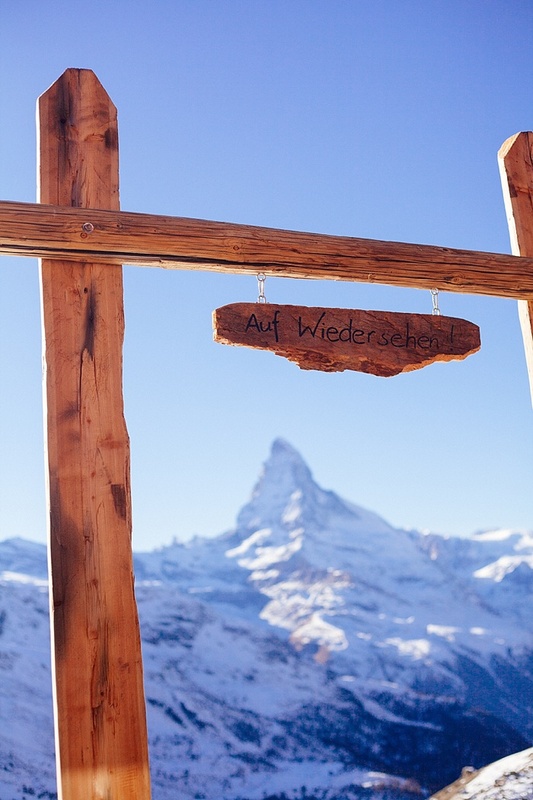 Make sure Zermatt is on your Christmas itinerary!! From our chalet, it was about 2.5 hours to Zermatt. You can see more pics and read about our time here. We left the Lake Geneva area in our rental van, and stopped in the adorable town of Gruyeres on our way out. Gruyeres is definitely worth visiting for a few hours, as it's picture perfect and sells delicious cheese. You can read more about our time here. Getting to Lake Geneva: We all flew into the Zurich airport, where we picked up our rental van and drove 2.5 hours to our chalet. Switzerland is a small country, so getting around is fairly quick (especially if you are from the USA and are used to driving hours to a destination!). Days Needed: There are SO many things to do and see in this area, and a LOT of day trips. At the very least, you need a couple days! Where to Stay: Because we had 8 people in total, renting a chalet was a great option for us. For 4 nights and 5 days, we paid a total of around $950 which came out to around $118 per person for the entire 4 nights! 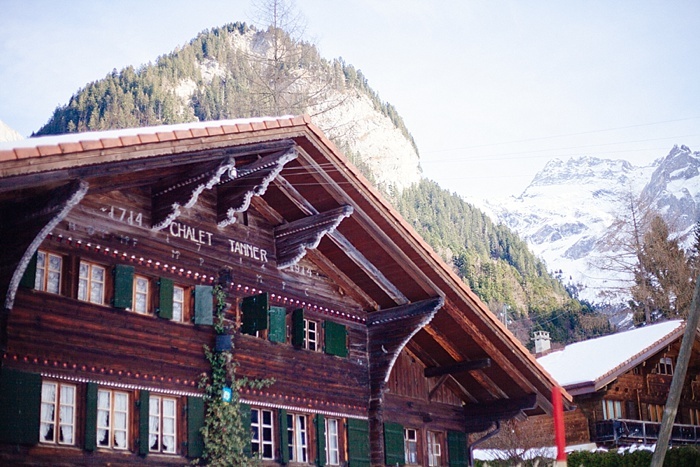 This chalet oozes Swiss charm and I'd recommend it fully! Besides our day at the Matterhorn, Colmar was my absolute favorite! It had the most "Christmasy" feel of anywhere we traveled, adorably small and decked out in the Christmas spirit. We ice skated, visited all the 5 Christmas markets, listened to Christmas concerts, and just generally soaked in the Christmas festivities and decor. You can read more about Colmar, and see our awesome apartment here. Getting to Colmar: From Lake Geneva, we used our GPS to drive our rental car up to Colmar. It's a pretty drive, and only took 3 hours. You will cross international borders into France. 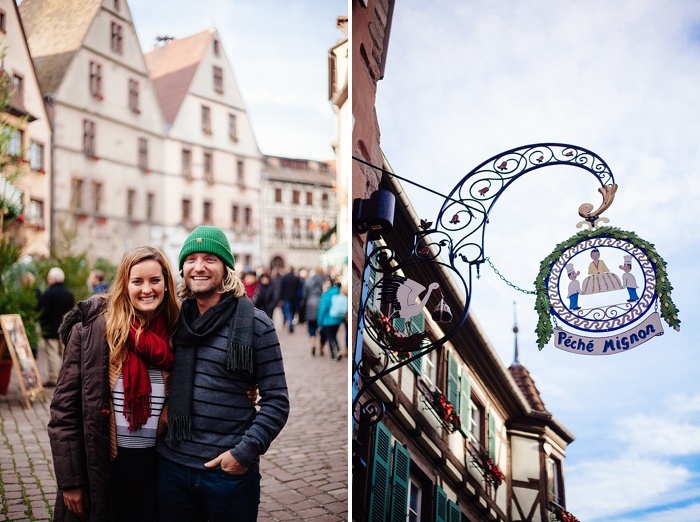 Days Needed: We spent 3 days, and 2 nights in Colmar, and it was the perfect amount of time. Make sure you at least have a full day here, as there is so much to do and so much to enjoy! 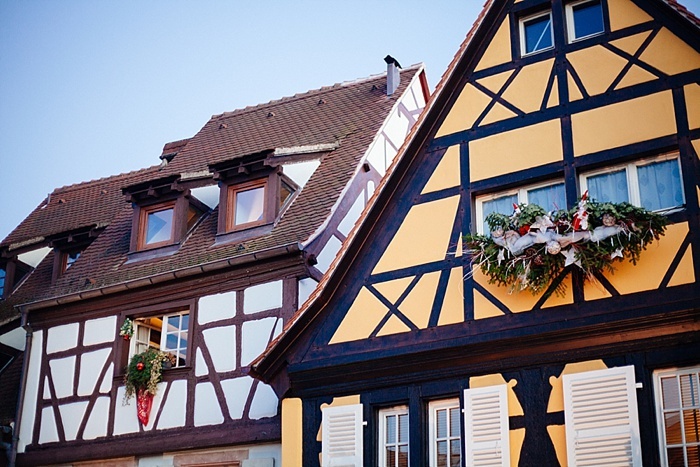 Where to Stay: There are so many charming places to stay in Colmar. Make sure you book right in the city, as you can walk everywhere. We stayed in the most beautiful apartment i've ever been in (you can find it here. ) The apartment was perfectly central, over one of the 5 Christmas markets. Perfection! To see pictures and read more about Colmar, click here. To decide if you'd rather visit Colmar or Strasbourg, see my review here. 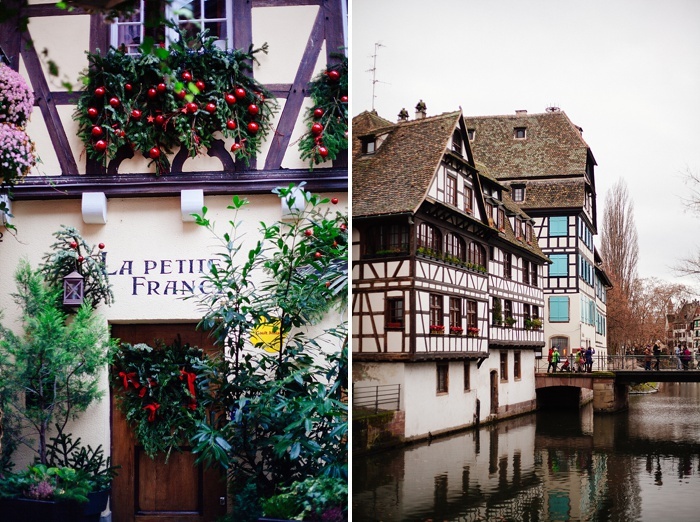 Strasbourg was the official Christmas capital of 2015, so of course we had to add it our Itinerary. It was really a special place to spend a few days, and it had the best Christmas concert we heard all trip, held in a gorgeous medieval church! Lots of lights, tall Christmas trees, and yummy food! Getting to Strasbourg: From Colmar, we took the Wine Route, and drove through all the gorgeous half-timbered villages in the Alsace region. While the actual time from Colmar to Strasbourg is only about an hour (if you take the main freeway), we took the entire day going north on the D10 and stopping in numerous little towns along the way. 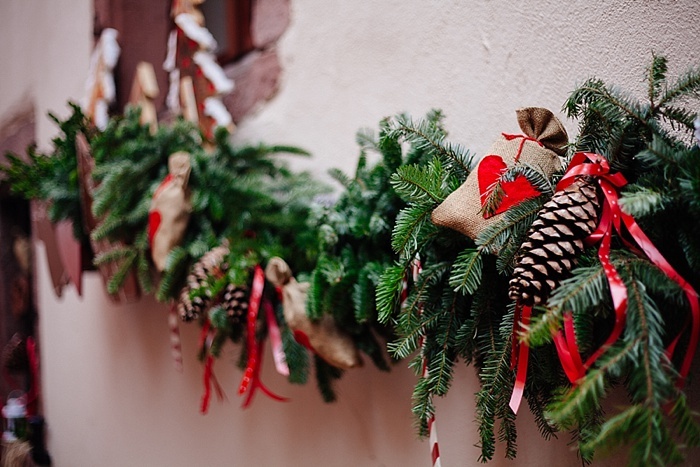 Many of them have Christmas markets where you can enjoy mulled-wine and all sorts of delicious Christmas treats. Our favorite villages included Kayserberg (pictured right below), and Riquewhir. Days Needed: To be honest, Strasbourg is so accessible by foot, you can see a lot of the city in just a day. We stayed 2 nights, having a full day in the middle, and that was plenty! If I had the trip to plan over, I maybe would have just done a day trip to Strasbourg. I enjoyed the smaller, cozier towns on the Wine Route (like Kayserberg), and may have spent more time there! To read about our time driving the Wine Route and see more pictures, click here. To read about our time in Strasbourg and see more pictures, click here. The Interlaken area in Switzerland is one of my favorites in the entire world. The backdrop, with a lake in the middle and the Swiss Alps looming above, is so dramatic! And the local farm houses, or Swiss Chalets dotting the countryside are absolutely idyllic. 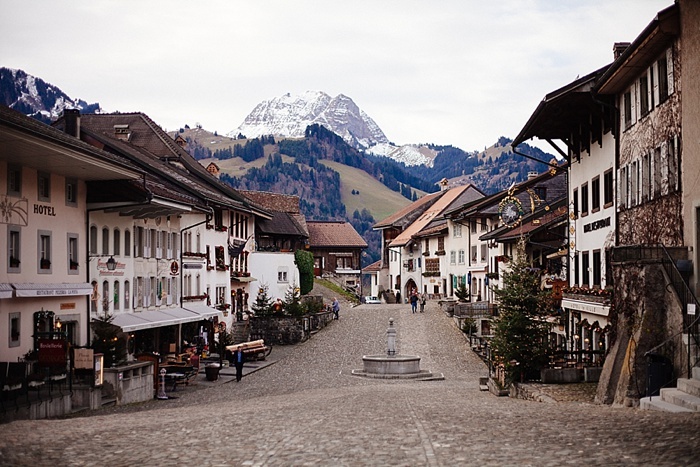 Interlaken is a total must for a sweet Christmas holiday! This was my 3rd time to Interlaken. 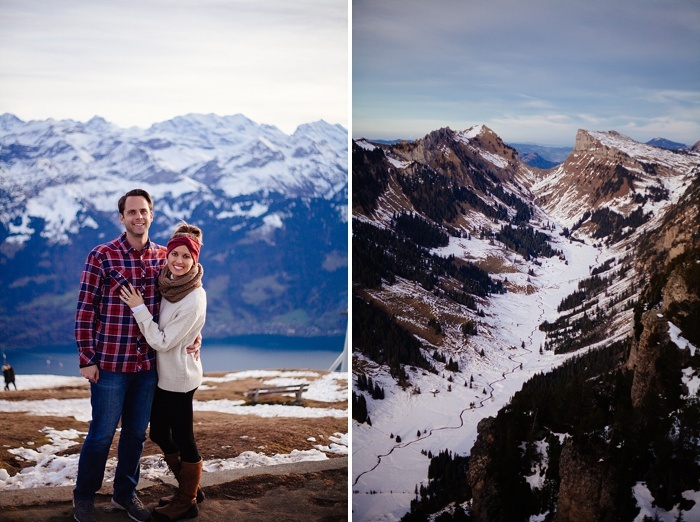 The first 2 times I stayed on the south side of the lake in the towns of Lauterbrunen and Gimmelwald (which are both picture perfect!). This time, we stayed in on the North side of the Lake in Beatenberg. And let me tell you, it's worth it for the incredible views and sledding and skiing that can be done right there on the side of the mountain! Days Needed: No one ever wants to leave the Interlaken area, so as much time as you can spend here the better. We were there 2 nights and 3 days and it was perfect. 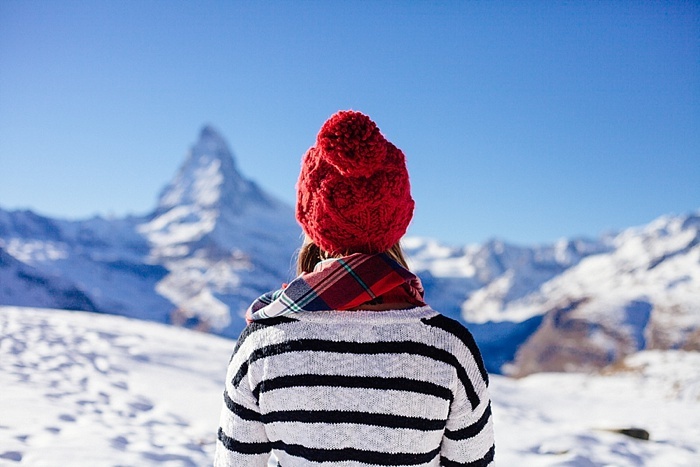 There are so many things to see and do, especially when there is snow! Where to Stay: Definitely stay at this AirBnB. Ursula, the gracious host, has a few different accommodations for different sized families, and each apartment has breathtaking views!! To read more about our time in Interlaken, click here. 1) Book in advance! I started booking this Christmas trip in September, and so many places were already booked up, I couldn't believe it! 2) If you have a smart phone, make sure to pay for the international sim card. This allowed us to use GPS on our phone using googlemaps. If you have a rental car, this is a life saver! 3) Utilize all your resources. To book our hotels, I combed through AirBnB, VRBO, HomeAway, and other websites I randomly found while booking. 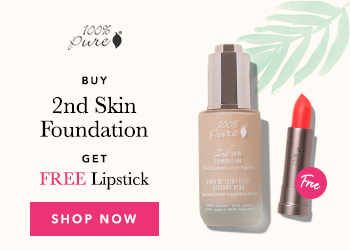 You can get some great deals this way! I also always poke my head into the Rick Steve's travel book as well to see his recomendations. 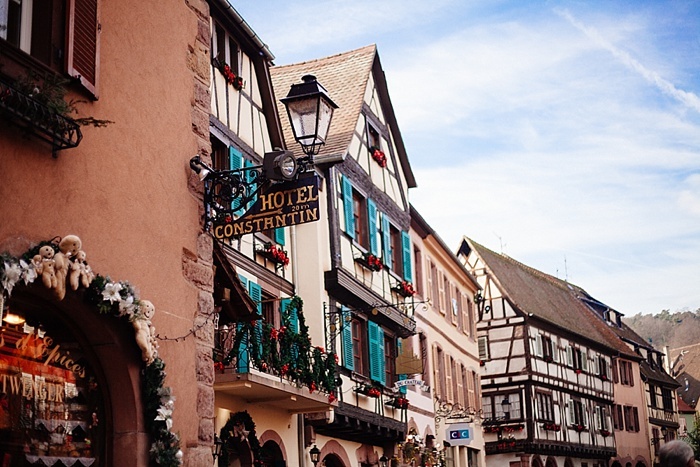 4) If you travel to the Alsace, make sure to visit the awesome website called Christmas in Alsace. It has a listing of all sorts of events going on in each city. 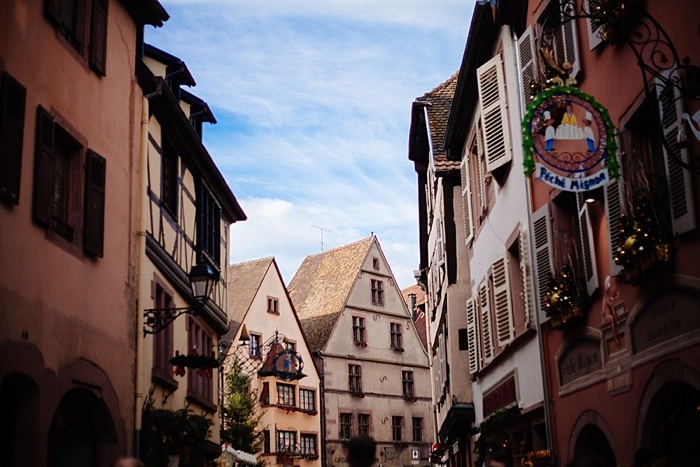 Before I left, I wrote down all the events happening on the days we were in Colmar and Strasbourg, and was able to incorporate them into our itinerary! 5) Because I'm a total fan of Rick Steve's, i'd recommend watching his video on Christmas in Europe (you can just youtube it). It's about an hour long video and follows what Christmas looks like in 5 different countries in Europe! Besides being absolutely charming and making you want to go ASAP, it was also helpful to expand our view of the types of activities in the different countries. We used a lot of his info on Switzerland! 6) Remember, airfare is always cheaper to Europe in the winter! My family got all 8 of us there with frequent flyer points, and only paid the taxes on each ticket, which was $85! So it's totally do-able!